Cult '90s football hooligan movie ID has received a belated sequel, and here's the first trailer. After a 21 year wait since the release of Philip Davis' cult classic I.D, football fans across the UK will not be disappointed with this ferocious sequel. Starring Linus Roache (Batman Begins, Vikings), Simon Rivers (Doctors), Neil Pearson (Bridget Jones Diary) and stars of the original film Lee Ross (Locke), Perry Fenwick (EastEnders) and Richard Graham (The Other Man). ID2: Shadwell Army takes a credible look at the more dubious elements of the game, and again follows an undercover cop, this time young British Asian Mo, infiltrating Shadwell's resurgent hooligan element. Set amidst the backdrop of the lavish fortunes of the modern English game, ID2: Shadwell Army is a must-see thriller that looks at what happens when violent allegiances spill over into brute violence and enflamed racial tension. I.D., released in 1995 and largely based on James Bannon’s real-life experience undercover infiltrating the ‘Millwall Bushwackers’, was widely acknowledged as one of the finest examples of its genre, spawning a series of follow up films hoping to emulate its success. It scooped the Audience Award at the Valenciennes Film Festival and was shortlisted for Best Screenplay by the Writers’ Guild of Great Britain. Now, in the highly anticipated sequel, Joel Novoa (God’s Slave) directs from a screenplay by Royal Television Society winner Vincent O’Connell (I.D., Criminal). The film is co-produced by longtime Ken Loach collaborator Sally Hibbin (A Very British Coup, Carla’s Song) and Patrick Cassavetti (Fear and Loathing in Las Vegas, Emma). 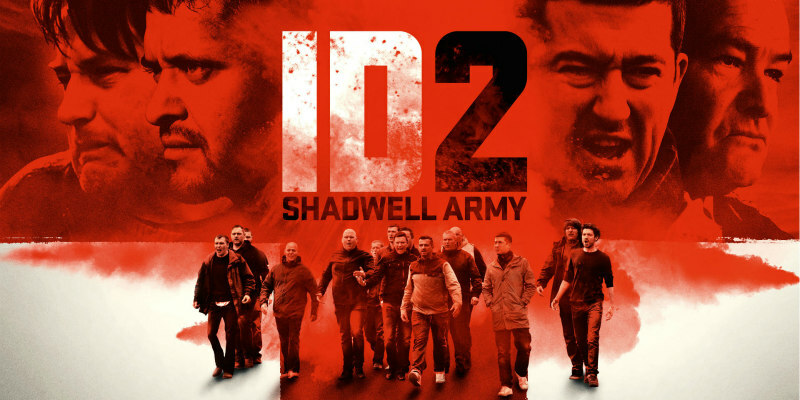 ID2: Shadwell Army is in cinemas August 13th and on DVD/Blu-Ray from 3rd October.